The department of the Correze is a beautiful wild, green, and hilly area full of forests, lakes, rivers and valleys. With its uncountable number of paths and small tracks, it is an area that is well suited to hiking in nature. The routes are well indicated with small signs and colored marks, and there are many guides and books with all the details of the hikes. These can be found at either our own campsite, or at the Tourist Office in Beaulieu sur Dordogne. Cyclists, be that mountain bikers, road cyclists or just people that like to go for a little ride, will be very pleasantly surprised with the area around our small campsite on the Dordogne. Easy rides on relatively flat terrain if you stay along the rivers in the valleys, or more challenging routes that take you out of the valleys with steep climbs and amazing views once you are on the high plateaus. From campsite La Champagne, it is an easy going short trip to either the village of Beaulieu sur Dordogne (5 km) or Argentat sur Dordogne (15 km). The Dordogne is one of the main canoeing rivers in France. 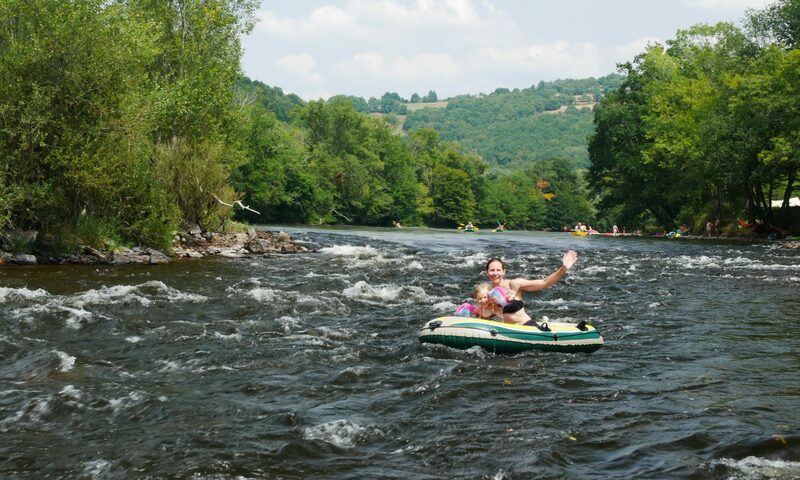 With its moderate rapids, sharp turns and here and there some white water, it is definitely a family friendly river. Children from 5 years old and up are very welcome to join you on your canoeing trip. No need to bring your own gear, when renting a canoe you will get all the required gear included with it. Moreover, our small campsite on the river has a canoe layover point, which means you can either start, or even better arrive, directly from/at our campsite. Trips of different distances can be arranged, and there is also a van available for pickups so you don’t have to use your car. In our area, the Dordogne is chok-a-blok with trout and grayling. 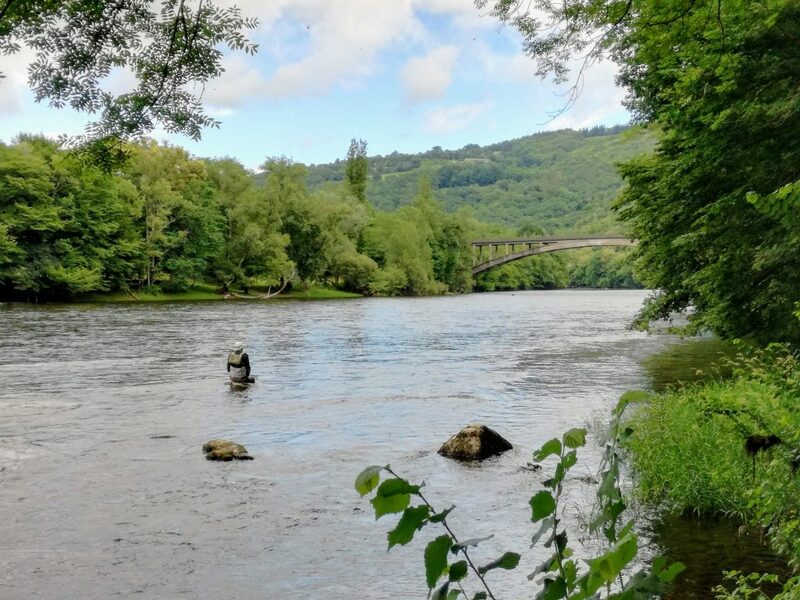 The part of the Dordogne between Argentat and Beaulieu is considered one of the best flyfishing areas in France, with fishermen visiting from all over every year and trying their luck with a dry, and at times a wet, fly. But all other types of fishing are practised here as well, as there are large stocks of pike, zander, carp, barb, black bass and eal around, both in the rivers and in the lakes. 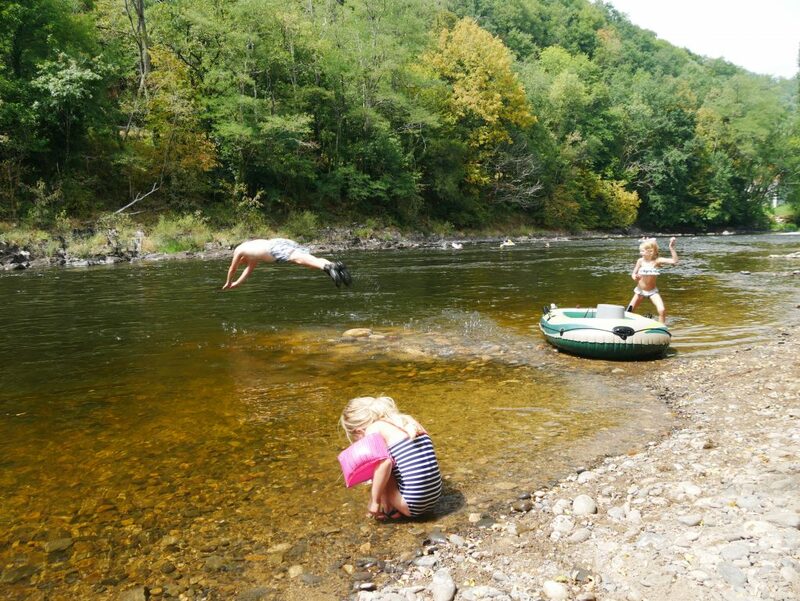 If you book a spot directly on the river, you’ll be able to enter and fish the Dordogne directly from your pitch! It doesn’t get much better than that.. Fishing permits (day, week, year) can be purchased at the local Tourist Office or tackle shops. The area around our small campsite on the Dordogne is an area full of wild and undisturbed nature. With all its streams, rivers, cliffs, rockwalls, forests and valleys it offers adventure seekers a ton of options. Waterfall jumps up to 12 meters, paragliding, river runs, kayaking, rock climbing and via ferrata, stand up paddling and hydrospeed, horseback riding and many more activities are all good options, and they can all be found in the close vicinity of our campsite.